When a law went into effect in Massachusetts in 2014 requiring transparency in pricing from hospitals, clinics and doctors, it seemed straightforward enough. After all, hospitals, clinics and doctors routinely bill people and insurance companies after providing services; how hard could it be to dole out that same information before those services happen? More than two years later, the answer ranges from Very to Impossible. Few healthcare providers are in compliance with the law. When prices do emerge from within the hallowed inner sanctums of whatever top-secret pricing lab the healthcare industry uses, they are shockingly different from one another. Like trying to choose a career path based on reading a bus schedule, pricing and healthcare seem to share very little common reality. What gives? How can an entire industry not know how much they charge for the things they do every day? If the above all-too-true scenario feels a little familiar, the odds are good you work in manufacturing. Getting to the bottom of how much you’ll pay to get 10,000 units of a part machined and delivered within a certain time frame is akin to engaging in cross-country alchemy. When you finally do get a handful of quotes to rifle through, the disparity will be so great you’ll wonder if you didn’t accidentally send out different designs. Pricing in manufacturing is difficult. While there are scores of reasons for that difficulty, one of the biggest culprits is a lack of transparency. Whether you’re a manufacturer looking to get parts made or a supplier bidding on jobs, you probably don’t often talk to anyone else in the industry about how much you charge or how much you pay. Money may be the foremost driver of American business and culture, but talking about it is still taboo. Add to that taboo the mystical RFQ process, and what manufacturers and suppliers have in common is a massive blind spot. 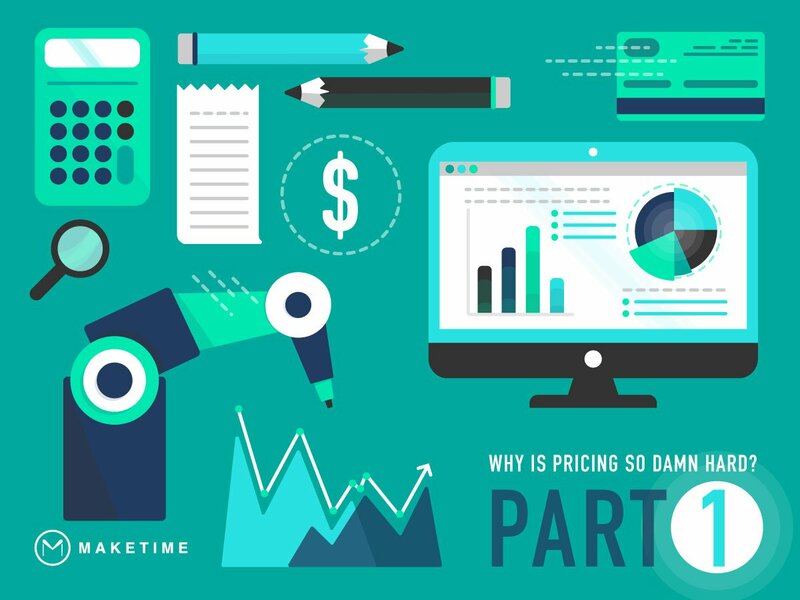 The question of whether or not a price is fair, good or lousy is only asked and answered within each company or shop’s own specific history of pricing. In nearly every other industry, you can tell in an instant whether the price you’re paying or asking is fair — just do a quick search on the internet. Manufacturing isn’t like that. The industry’s machines are technological marvels, but its processes are still wedded to paper, fax lines and phone calls. The only price comparisons anyone can conduct — without talking to someone else about it — are within the histories of their own RFQs. The Internet of Things (IoT) is little more than a heartbeat away. As soon as the machines churning out the world’s parts are connected to one another, there’s going to be an explosion of data. From actual tooling time to the real cost of operations, the mysteries of the RFQ process will finally be laid bare. Transparency, seemingly so elusive today, will be commonplace. With mountains of reliable data, pricing will no longer be hard – both in Massachusetts and in manufacturing. MakeTime is a one-of-a-kind, cloud-based manufacturing platform using real data to inform every piece of the production pipeline, from pricing to procurement. Find out how our network of prequalified nationwide suppliers can meet your manufacturing needs today.